Structure Url Alias is a module that will create one or more aliases of your Structure Page or Listings. This may handy in times when you need two or more url`s pointing to the same Page. 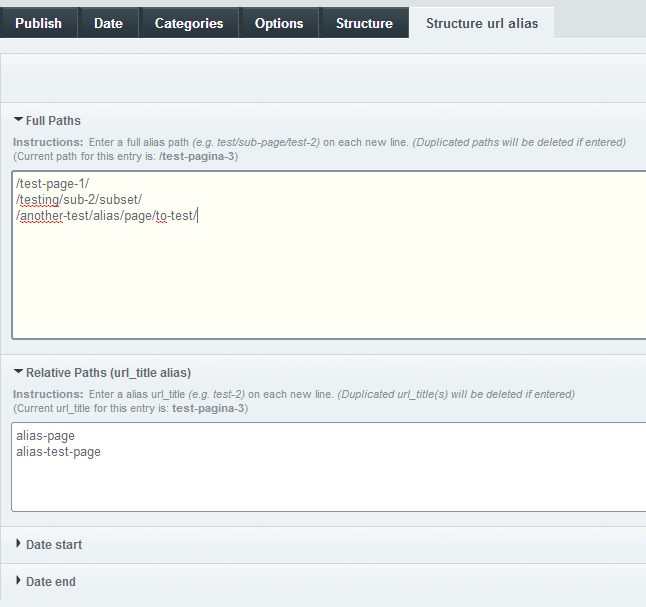 Structure Url Alias comes by default with a new publish tab, where you can enter your alias url`s. By default the url will validated and checked on duplicated uri`s.